Both partners committed to building a lasting relationship? Choose marriage counseling. One partner not fully committed? Choose discernment counseling (like the couple above). Are you or your spouse considering divorce but aren’t sure? Short-term discernment counseling may be the right choice for you. Rather than address your marital problems, discernment counseling helps you determine if you could solve your marital problems. Are you or your spouse unsure whether your marriage is worth saving? If one of you isn’t truly motivated to save your relationship, but is willing to give your marriage another chance, discernment counseling will equip you with a clear agenda for undertaking a last-ditch attempt to rebuild your marriage. Rather than address your marital problems, discernment counseling helps you determine if you are both sufficiently motivated to solve your marital problems. Marriage therapy is great when both you and your partner are committed to the relationship. If, however, you or your spouse are only half-heartedly dedicated to the marriage-saving work, couples therapy tends to have poor results. Working on your relationship requires energy and commitment. It’s just plain demoralizing when your partner isn’t fully committed. 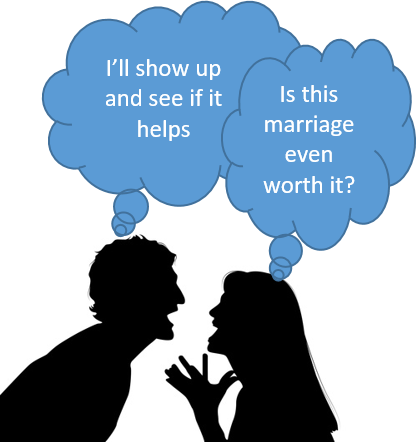 Experience shows that the partner “leaning out” of the marriage tends to invest just a half-hearted effort. Lukewarm participation tends to doom marriage counseling. Discernment counseling helps prevent half-hearted, doomed-to-fail marriage therapy. In just a few sessions, you and your partner will determine if each can muster the sustained effort to do successful marriage therapy. What can you expect in discernment counseling with Dr. Ryan? Gain confidence in your next steps. Gain understanding of where your relationship went off the tracks. Assess the options for addressing your problems and staying together. 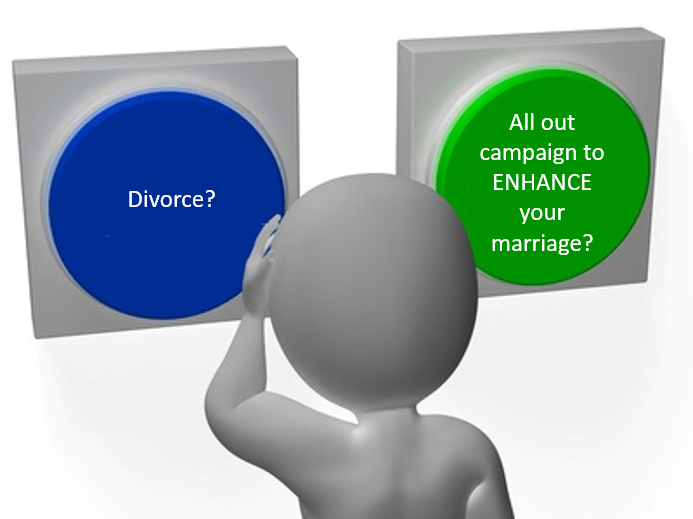 Decide if your next step is divorce or an all-out campaign to build a lasting relationship. Discernment counseling is very rapid. In just one to five sessions you can reach a decision point and prepare to follow through. Over half of divorced persons regret the decision to divorce. Avoid future regrets. Discernment counseling can help you determine if you should try and save your marriage, or if you should move towards dissolution. Second and third marriages are just as likely to be unsatisfying or end in divorce. If you ultimately choose to divorce, discernment counseling includes a review of your contributions to marriage failure. Understanding your part in this marriage increases the likelihood that you will create a fulfilling second marriage. Before making a permanent decision about your relationship, reach out to Dr. Ryan today. Getting a professional’s perspective before making a final determination on your marriage may just be the best decision that you make. Contact Dr. Ryan by calling or by filling out the contact form and clicking Send.